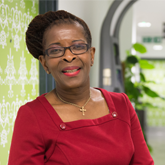 Nursing staff are under pressure from increased workloads, says RCN President Cecilia Anim. Earlier this month I visited Belfast for the launch of the RCN’s new Healthy Workplace, Healthy You campaign. The campaign encourages health and social care employers to work in partnership with RCN reps to improve working environments for all nursing staff. This subject is so important. Increased workloads and a reduction in staff numbers mean you are under intense pressure. I know you sometimes struggle to deliver the quality of care you want to because of issues such as poorly designed jobs, or employers who refuse to recognise work-life balance. The link between a healthy workplace and patient outcomes is clear. The best working environments prioritise health and wellbeing, retain motivated staff and enable you to provide outstanding care for your patients. Having been an RCN steward and health and safety representative for 19 years, I know our reps make a huge difference to the working lives of our members. The Healthy Workplace Toolkit gives reps the evidence and resources they need to work with employers to forge further improvements. A key focus of the campaign is Healthy You, which encourages you to prioritise your own wellbeing. Despite the pressures you face, I know you remain determined to deliver outstanding patient care. To maintain this, it’s vital you step back once in a while to ask ‘how am I doing?’. I urge you all to visit the Healthy Workplace, Healthy You website, download the toolkit and start to identify improvements that can be made in your workplace or for your own health.